This entry was posted in Bible, Theology and tagged atheism, Bible, Christianity, Christology, exegesis, Ezekiel, hermeneutics, inspiration, interpretation, Job, Jonah, Judaism, religion, Ruth, Theology by davebarnhart. Bookmark the permalink. 1. The destruction of Tyre is described as coming by the hand of Nebuchandnezzar and “many nations” (26:3). Apparently, the Babylonians did conquer the mainland city of Tyre while Alexander the Great mopped up the rest by building a seige work to the island portion centuries later. The fish fry probably stopped at that point. If you read 26:11-12 you can see that Ezekiel changes from “he” (probably Nebuchandnezzar) to “they” (Alexander and others). You’re not being fair to the text by attributing the entire prophecy to Babylon. 2. The prophecy against Egypt doesn’t necessarily come at the hands of Babylon. 29:1-16 does not specify who will conquer or when it will happen. 29:17-18 returns to Nebuchanezzar and his frustration over not getting what he wants from Tyre. 19-20 could reasonably have happened since the Babylonians had defeated Egypt under Necho before the seige of Jerusalem. They were a vassel state of the Babylonians which would have meant constant tribute. 3. There is also the possibility that the Egyptians repented in which case God may have relented from His planned destruction. This is a biblical pattern which can be seen clearly in the life of Ahad who received a prophecy of early death only to receive addition years of life because he repented with tears. If the prophecy concerning Egypt was to take place at the hands of the Babylonians what we could be seeing is not an error on Ezekiel’s part, but a revelation of the mercy of God toward those who repent. I think this is the message your congregation needs to hear. God forgives those who repent of their sin. Saying the Bible has errors and excusing particular sins because the Bible is probably wrong at those points is well meaning but ultimately harmful to your hearers. There are certainly ways to make the text consistent, but I don’t really see a reason to do so except to defend the idea that the text can’t have contradictions. If the only way to interpret the prophetic words in a way that makes them fit the historical situation is to remove them from their context, then that makes the interpretation suspect, in my opinion. Claiming that Babylon sort-of succeeded seems to go against Ezekiel’s words in 29:18-20. 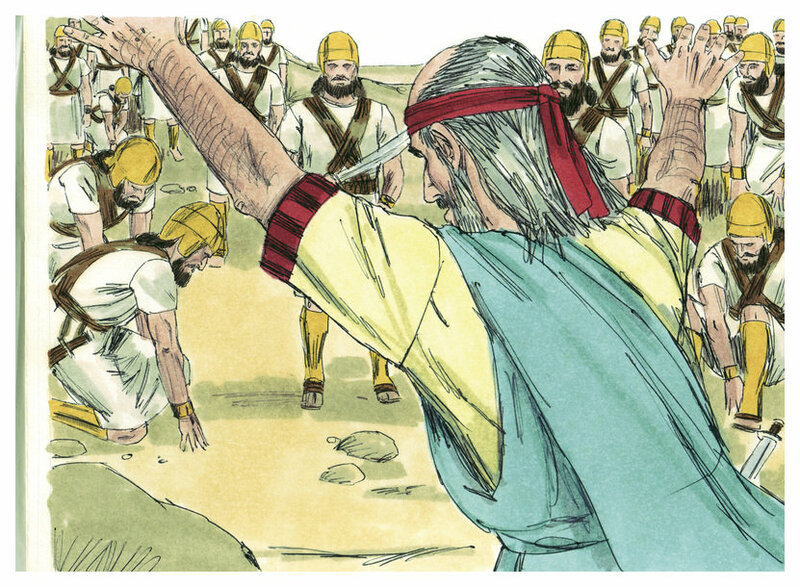 Did Nebuchadrezzer “sort of” get paid for his efforts by deposing king Ithobaal? Building a siege works certainly falls short of what he predicted in 26:10-14. I’ll admit I’m no Middle East historian—I’m relying on the scholarship of Kathryn Darr, among others. But the textual evidence alone indicates that Ezekiel got carried away. I’m not scorning him. I think it’s charming, actually. Joel, we simply have different takes on the authority and inspiration of the Bible (and, I’m sure, many other theologically-related things). The Bible never claims about itself that it is inerrant. That is a modern claim that some people make about it. In fact, the ancient Jewish sages loved to say that “The Torah has 70 faces,” meaning that like a gem, you could read it from multiple angles and interpret it many ways. I find it delightful that the compilers of the Bible did not try to edit out the discrepancies between the two creation stories, or the four gospels, or the two histories of the monarchy (does God incite David or does Satan? ), or the two interwoven Noah stories (one pair of animals or seven? ), or the different Exodus traditions (one where they have livestock and the other where they have no meat), or the contradiction that Cain’s descendants were the ancestors of various technologies, only they weren’t because they were wiped out by the flood. Eventually, one winds up spending so much effort harmonizing these things that it becomes clear that consistency is something we project on the Bible, and isn’t even something you’d even expect for a collection of 66 books by as many authors over a thousand years. If I were after consistency, I’d read the Koran—written by one author and dictated by an angel! (Which is far more suspect to me than a book compiled by a community *with* errors). There are certainly ways to make these things consistent by hypothesizing various scenarios that aren’t in the text, but I believe *that* is what is ultimately harmful to hearers—insisting on interpretations that disregard what the text actually says.